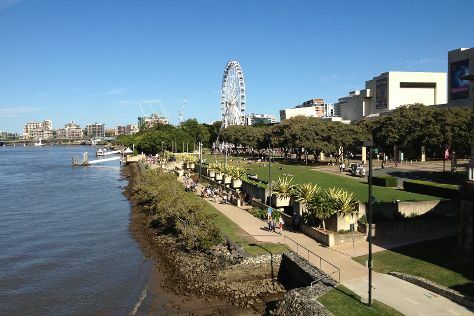 Change things up with these side-trips from Gold Coast: Brisbane (South Bank Parklands, City Hall, & more), Caloundra (Moffat Beach & Dicky Beach) and Tweed Regional Gallery & Margaret Olley Art Centre (in Murwillumbah). Spend the 28th (Thu) exploring the fascinating underwater world at Sea World Theme Park. Spend the 17th (Wed) exploring nature at Springbrook National Park. There's still lots to do: tour the pleasant surroundings at Surfers Paradise Beach, hike along Cape Byron Walking Track, enjoy the sand and surf at Norries Head, and enjoy breathtaking views from SkyPoint Observation Deck. To find ratings, reviews, maps, and tourist information, you can read our Gold Coast journey builder . If you are flying in from United Kingdom, the closest major airports are Brisbane International Airport and Gold Coast Airport. Expect a daytime high around 27°C in May, and nighttime lows around 15°C. Wrap up your sightseeing on the 30th (Tue) to allow time to travel back home.